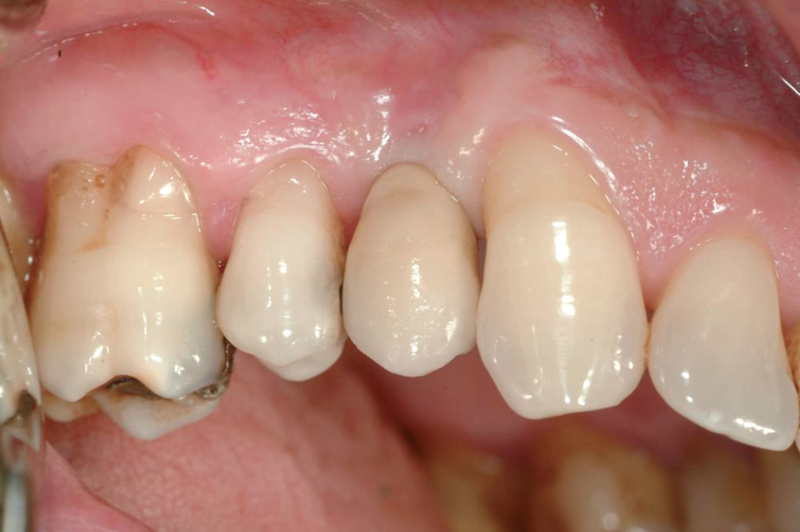 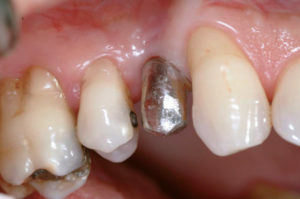 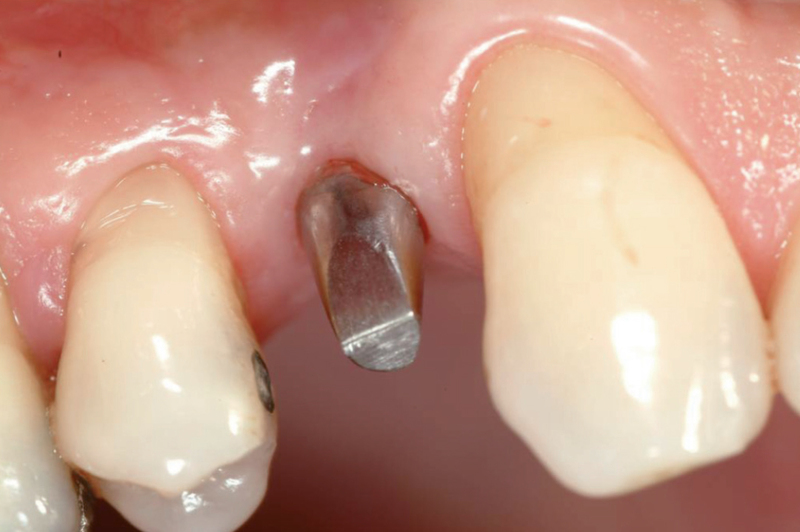 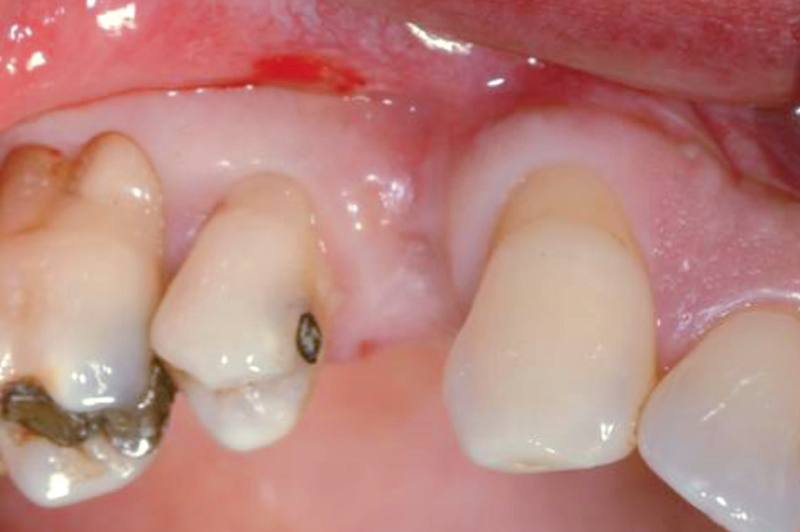 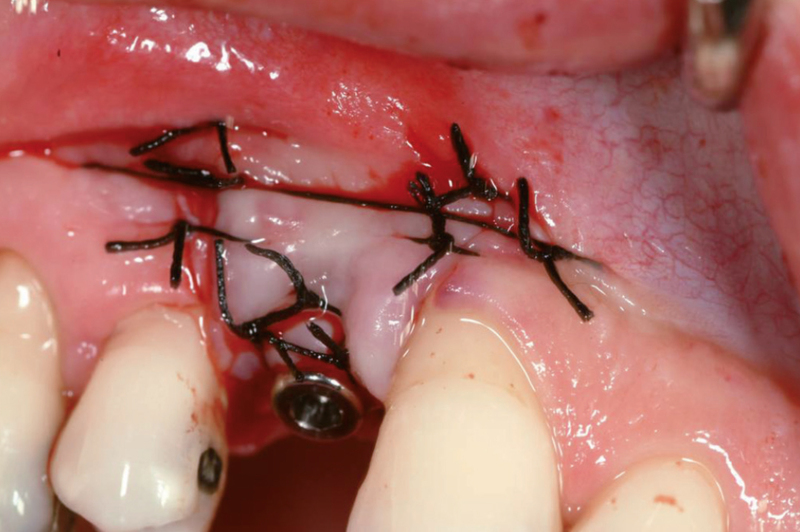 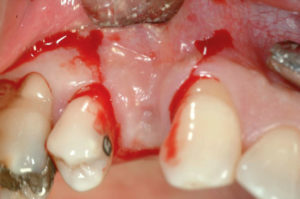 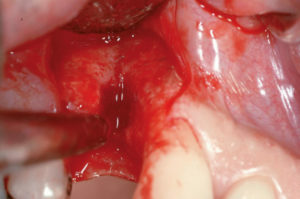 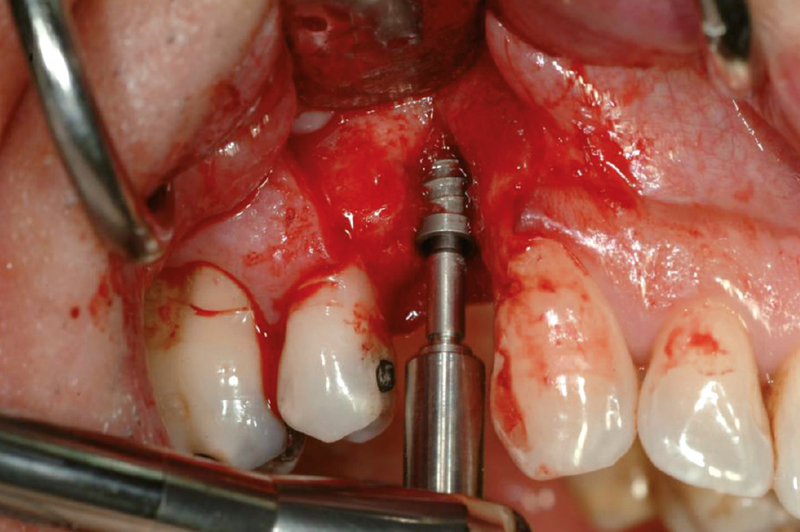 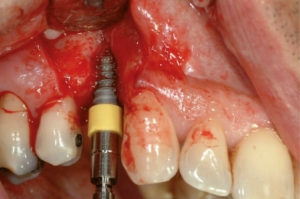 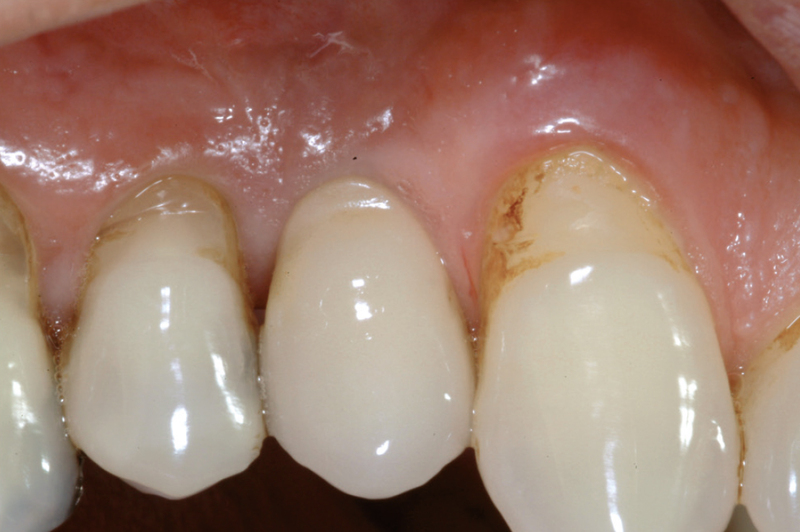 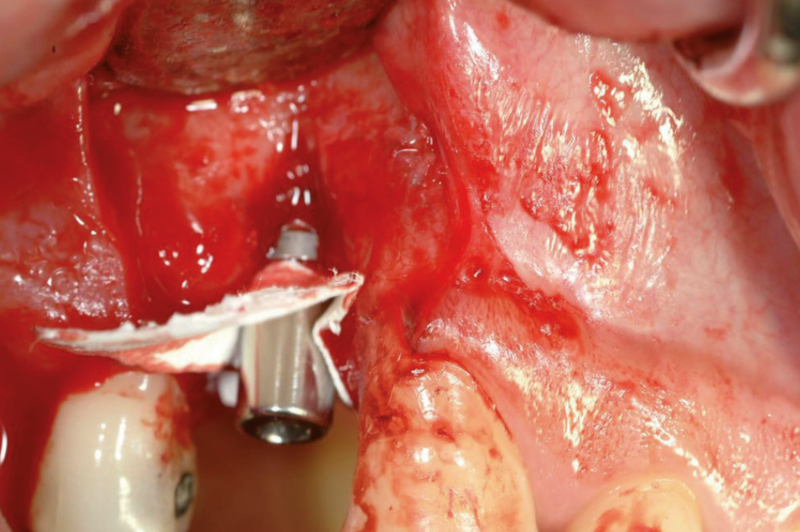 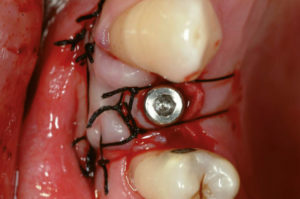 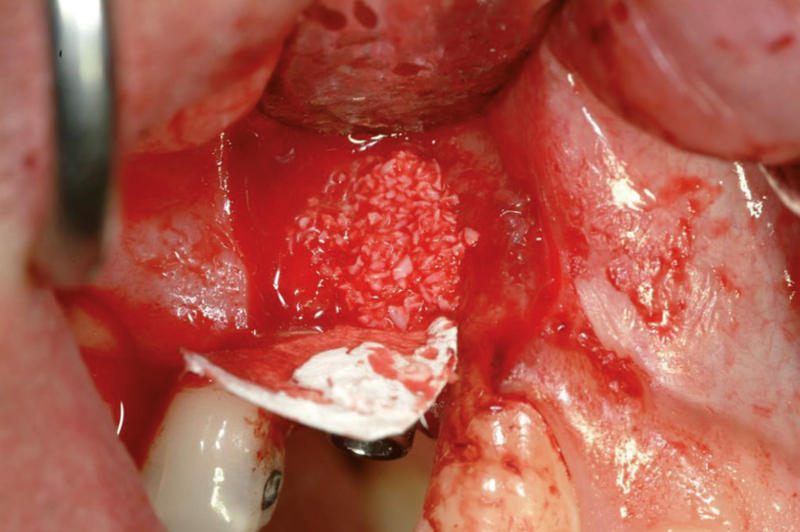 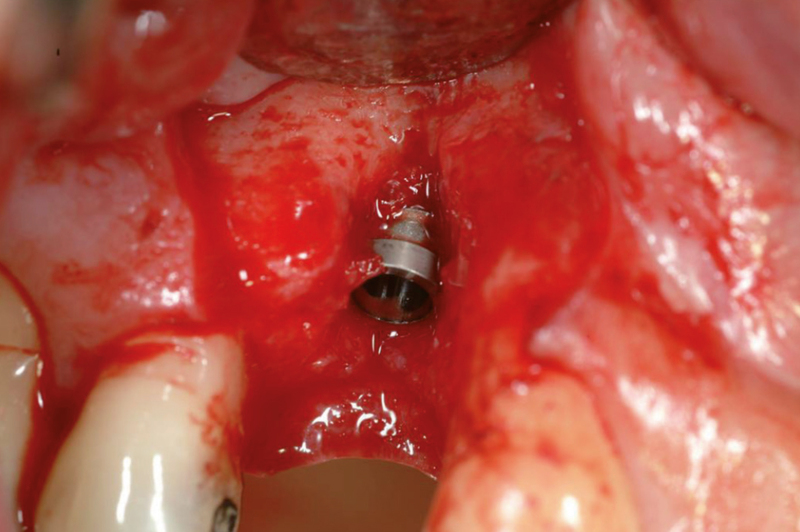 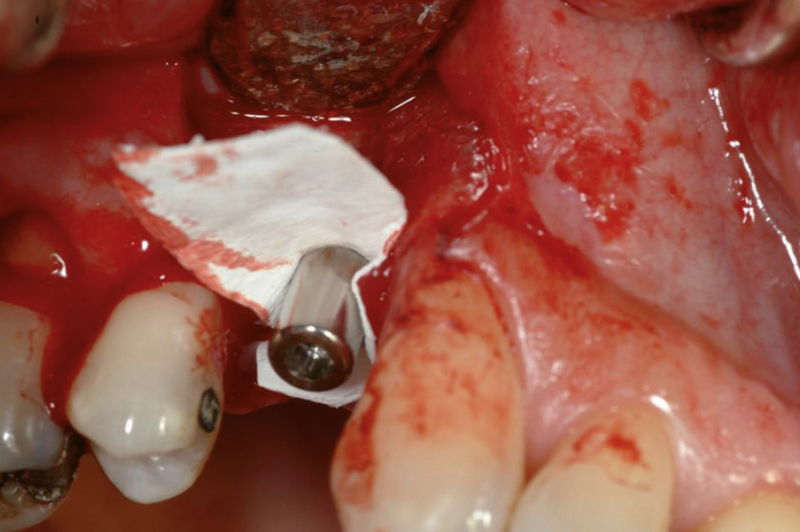 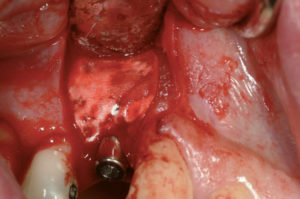 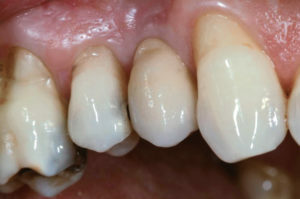 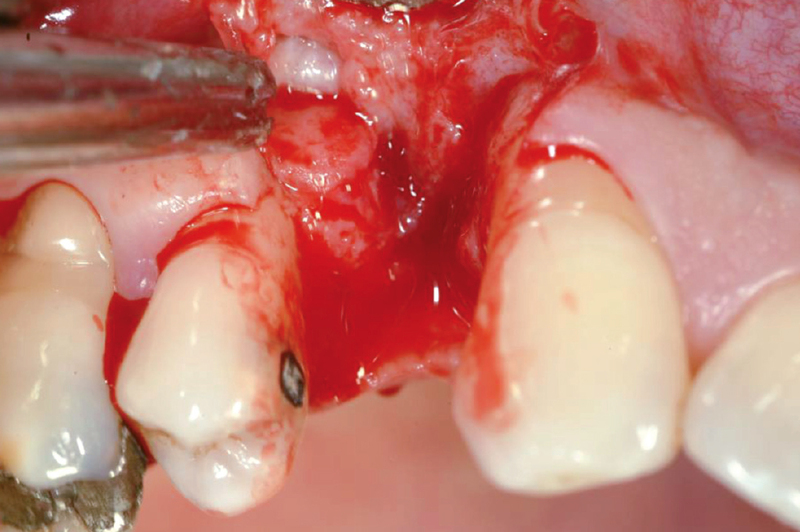 This case report demonstrates a procedure for restoring a missing maxillary first premolar with a severe buccal bone plate defect of a 55-year-old male patient. 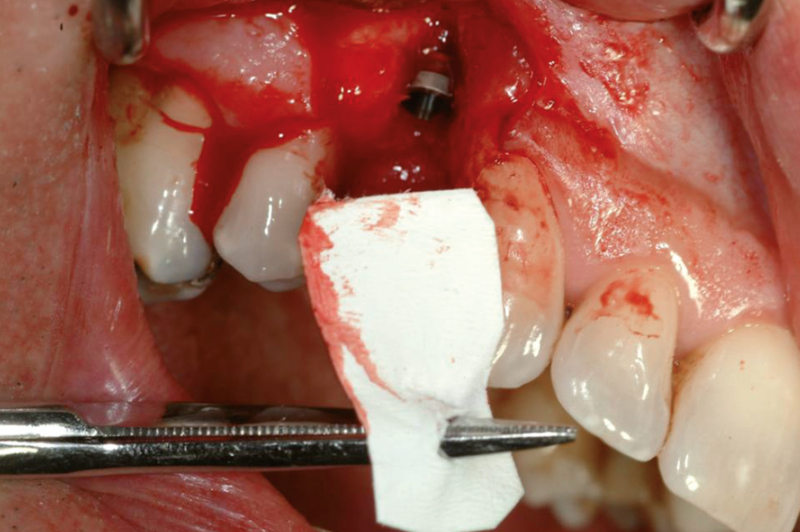 In order to expose the bone defect a GBR incision was performed and a full-thickness mucoperiosteal flap was raised. 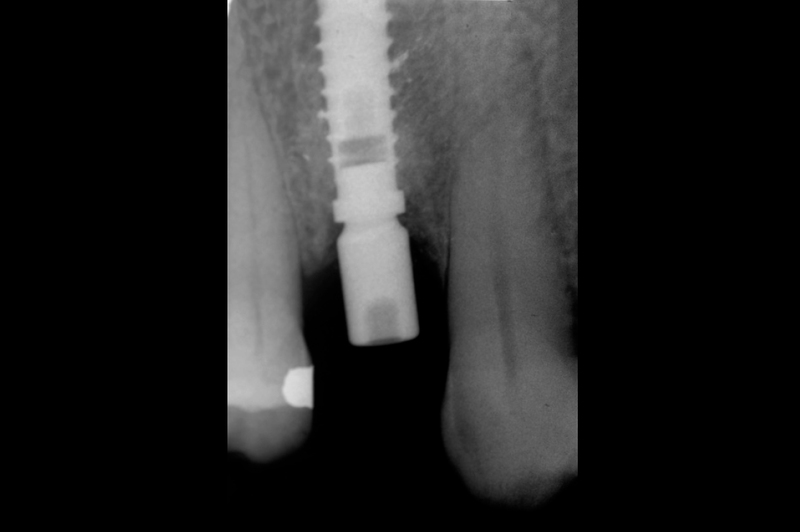 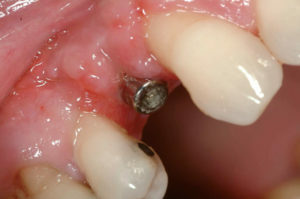 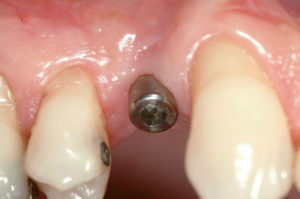 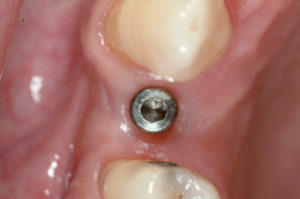 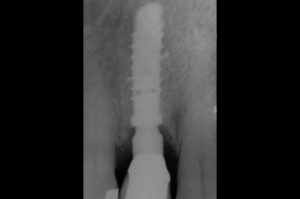 After thorough surgical debridement of the defect a 4.1 x 14 mm Leone implant was placed about 3 mm subcrestally. 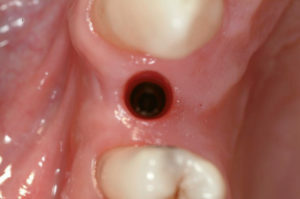 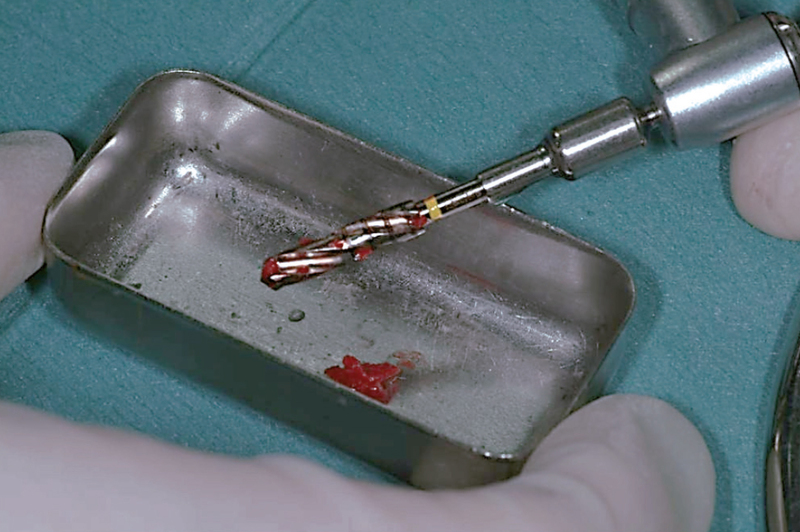 A small hole was made in a collagen membrane in order to stabilize the membrane with a healing cap for a one-stage surgical procedure. The bone defect was filled with a mixture of autologous bone, harvested from the drills during preparation of the implant site, and a bone graft substitute. 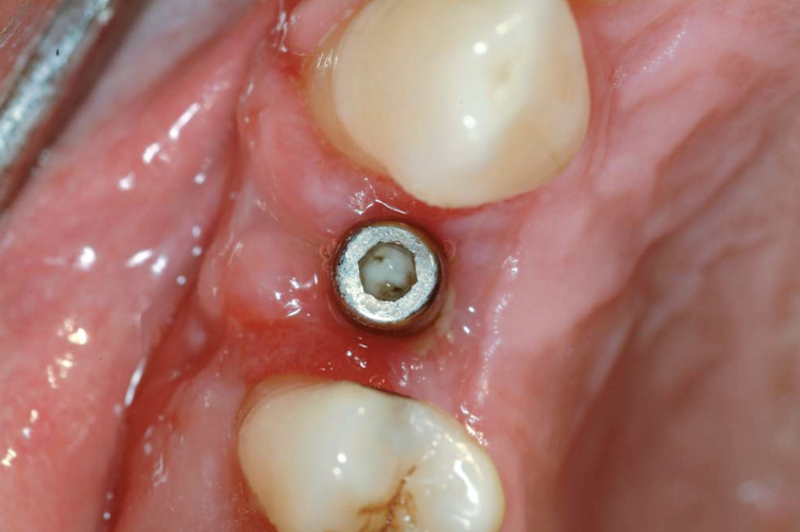 After six months of healing an implant level impression was taken and a cement-retained metal-ceramic crown was fabricated. In May 2016, twelve years after crown delivery, clinical and radiographic examination was performed. The clinical picture shows stable peri-implant soft tissue levels and aesthetics. 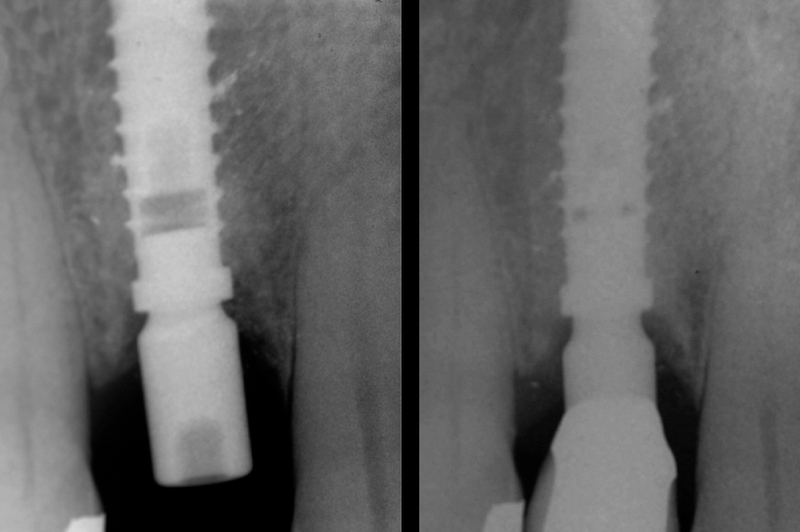 The comparison of X-ray follow-up, at six months and at twelve years after crown delivery, demonstrates no crestal bone loss and reveals a gain in peri-implant crestal bone height.